Keeping Oktoberfest in mind, I decide to sample all of the German beers offered at the Systembolaget for the month of October. 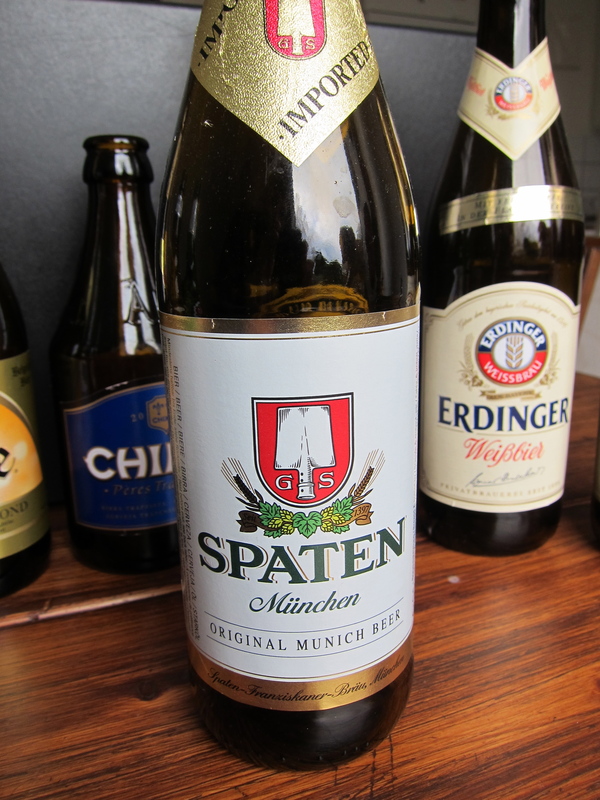 To my utter disappointment, the Almhult Systembolaget only carries four German beers. Nonetheless, I have sampled and rated them here for you. As a refresher, this is the rating system that I am using. A = Avoid, I would probably prefer water over drinking this again. AA = Average, a decent beer, but nothing really remarkable to make this non-beer drinker want to stock up on it. AAA = Awesome, this is something that I really enjoyed drinking, I would recommend it to friends, and you will probably find it stocked in my fridge. 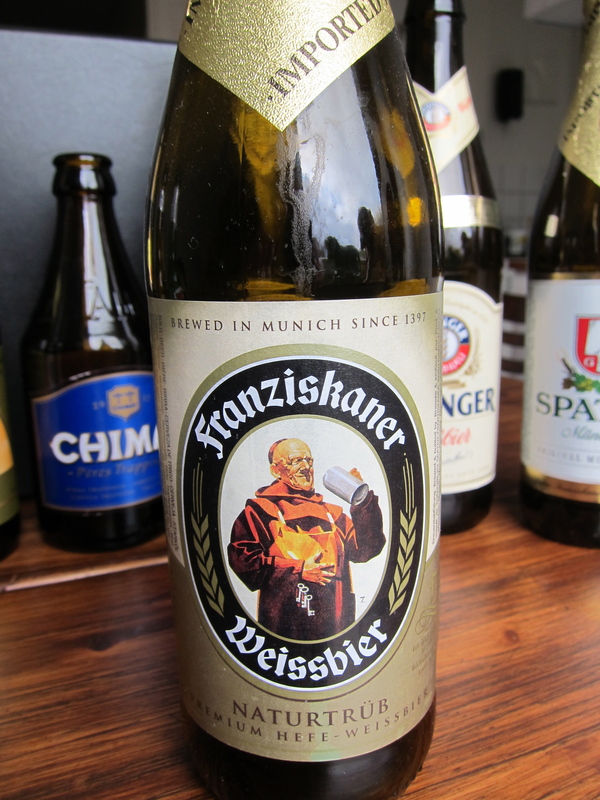 Franziskaner Weissbier Naturtrub: Brewed in Munich since 1397 and in accordance with the Bravarian Purity Law of 1516, the FWN “is a natural and elegant white protagonist beer from Bavaria with a luxuriant white foam. The coppery golden wheat beer with hefetrüber opalescence unfolds an aromatic scent with harmonious fruit in the banana and citrus fruits their regards. Due to the higher content of carbon dioxide, it is particularly lively and sparkling. Particularly its distinctive fresh, subtly spicy and fruity flavor with mildly sweet ending Franziskaner Hefe-Weissbier Naturtrüb unfolds when enjoyable swallowing. The FWN earned a AAA for me due to its smoothness and fruity character, while being an unfiltered beer it is still quite light. 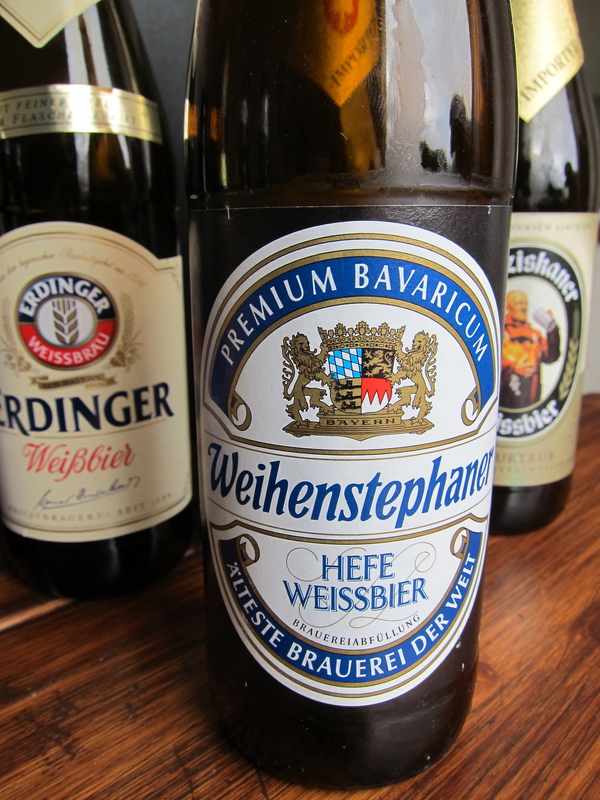 This Hefeweissbier, while very similar to the Franziskaner Weissbier Naturtrub, earned a AA. While it was similar, it left me wanting to have another FWN, not a Weihenstephan Hefeweissbier. Okay, as you can read above, Erdinger talks very highly of itself; but for me, it just did not add up to a good beer. 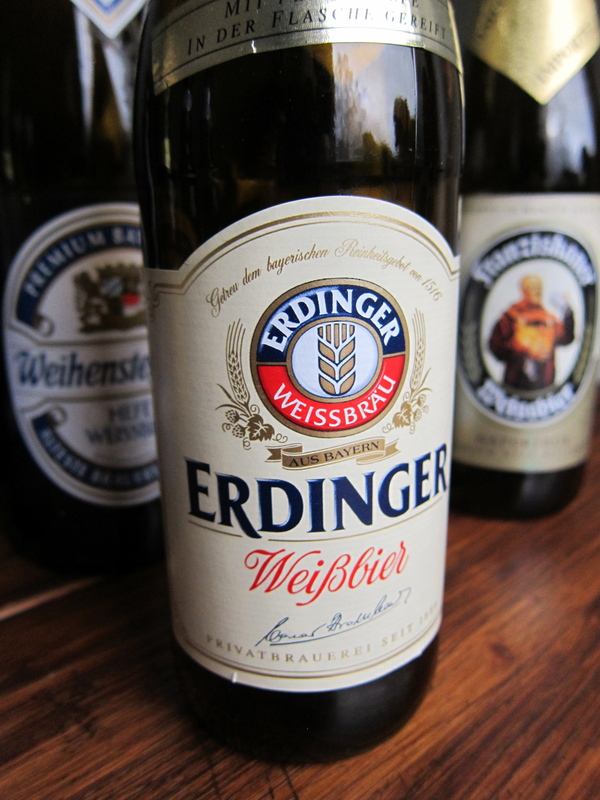 The Erdinger Weissbier earned an A on my scale, it was just a plain tasteless beer. To read about the other countries already covered in this series, please click below. If you have any reviews or additions to make to this Germany list, please feel free to leave a comment. Previous Previous post: To Pee or Not to Pee (In Public)?